We focus so much on social media metrics that we can lose track of the human. 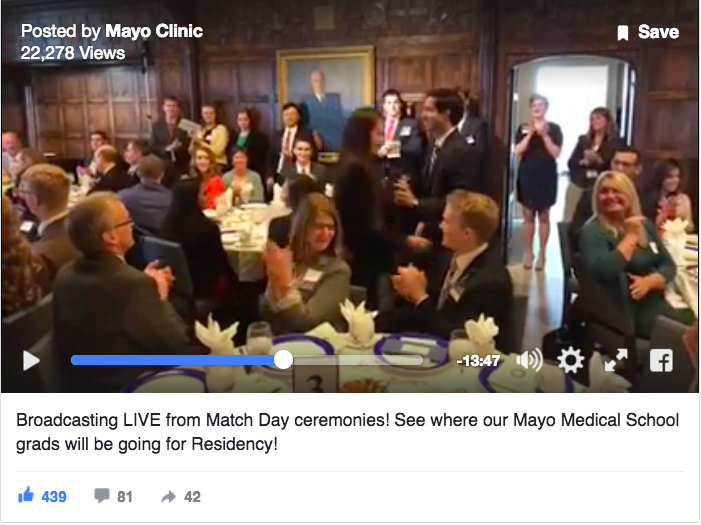 I was reminded of this recently when Mayo Clinic broadcast Match Day on Facebook Live. If you’re not familiar with Match Day, it’s a big deal. After interviewing at numerous residency programs, graduating medical students across the country simultaneously open an envelope to discover where they’ll spend their next several years. Mayo Clinic students are able to invite one other person to join them for the Match Day event. Omar Haque invited his mother, Nabila. His father, Ehtesham, and elderly grandparents stayed behind in Georgia anxiously waiting to learn the outcome. But about an hour before the big reveal I got a phone call from Omar’s dad. “I received an email from Omar telling me to check out this Facebook stuff,” Ehtesham recalls. “I struggled with it, and then went to the Mayo Clinic Social Media Network website.” That’s where he found my phone number. Turns out Ehtesham didn’t even have a Facebook account, considering it “too invasive.” So I walked him through the signup process and sent him the link to the Mayo Clinic Facebook page. Ironically, our director Lee Aase was holding his iPhone right in front of the table at which Omar and Nabila were sitting. Omar was hugging all his friends. “My parents started crying, hugging, and feeling all the joy that goes through you,” Ehtesham recalls. Omar had good reason to rejoice. He had just matched to a seven-year general surgery residency at Harvard University. Dan Hinmon is community director for the Mayo Clinic Social Media Network. I’ve never seen my dad so happy. We focus so much on social media metrics that we can lose track of the human. I struggled with it, and then went to the Mayo Clinic Social Media Network website. Since only one person could join me for Match Day my grandparents felt a little left out. It meant a lot that my entire family could watch one of the happiest moments of my life. It’s as if we were there with him, sharing his experience. We saw the whole thing. He got his envelope. When he opened it we saw all those expressions on his face that we couldn’t capture because of not being there physically. It was just phenomenal. 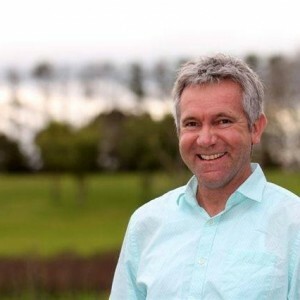 Kia ora Dan & thank you for reminding us what it means to be human in healthcare!